A New Years Eve cruise on board MV Rhemtide is destined to be a special event simply based on the pedigree and history of this majestic vessel. As soon as you step on board for your New Years Eve cruise you will feel the energy and aura of superstars that have graced her before you. Gloria Estefan, Jay-Z, Cher and Kanye West to name a few. Originally built in 1974, she has had multiple refits and has been meticulously maintained. The expansive top deck of Rhemtide is the ideal spot to be on a New Years Eve cruise. 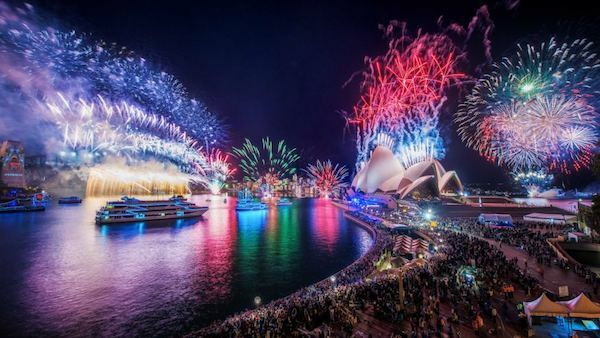 With 360 degree unobstructed views of the Harbour and its surrounds, you and your guests will be left in awe as fireworks explode above and crowds cheer from the side. All the time, your New Years Eve cruise is in the middle of the action. Stepping down onto the main deck you will find more outdoor space for your New Years Eve cruise guests. There is a walk around platform that takes you to the bow of this vessel where more of your guests can enjoy the atmosphere. Entertainment and enjoyment is what a New Years eve cruise on board Rhemtide is all about. Need a break from all the action on your New Years Eve cruise? Step inside into the main saloon where you and your guests can relax on the designer lounges and chairs. Large panoramic windows surround this area ensuring that no one misses a beat of the action as Rhemtide cuts through the harbour waters. The cost of your New Years Eve cruise on Rhemtide includes a deluxe food and beverage package specially tailored for the occasion, an experienced captain and crew and an evening filled with fun and memories on board a classic vessel. 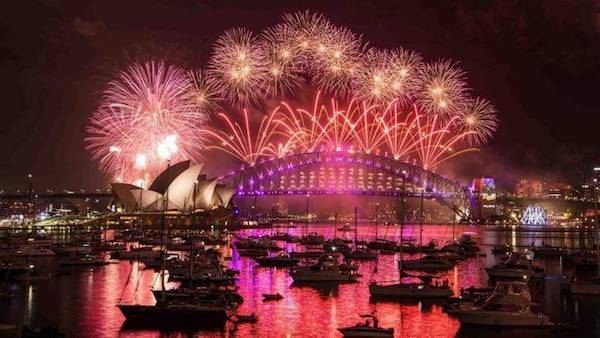 Your New Years Eve cruise will run for 6 hours with pick up and drop off times to be confirmed.